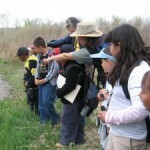 Bluff Lake Nature Center is a nonprofit agency that owns and manages a unique urban wildlife refuge and outdoor classroom in northeast Denver. The refuge is home to an abundance of animals and native plants, which thrive in a variety of habitats. 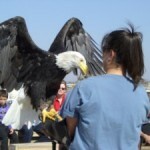 Each year, nearly 5,000 area elementary students visit Bluff Lake as part of our mission “to foster environmental education and stewardship at Bluff Lake, a unique urban wildlife refuge.” Thousands of additional visitors come to Bluff Lake to enjoy a few moments of solace and connection to nature.